This puts significantly more stress on aviation service providers. 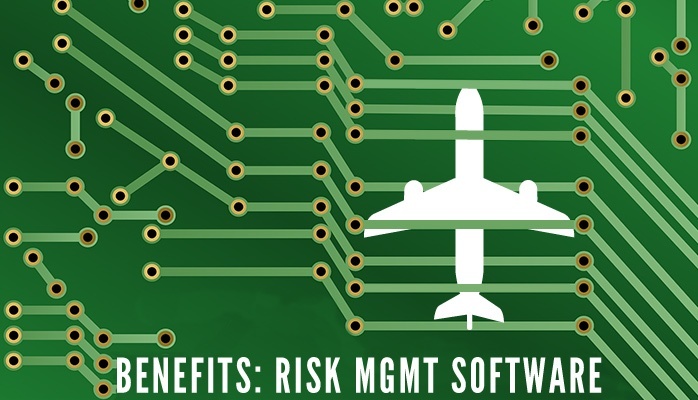 Airlines and Airport safety personnel have enough to do without worrying about transferring a significant amount of data from a computer to a binder. Moreover, this lack of support gives companies incentive to remain using their manual SMS program. This is too bad because SMS software can significantly benefit any organization. Oversight agencies need to adopt policy of working with whatever medium service providers’ aviation safety management system exists on. Here are 20 benefits of safety management software. Stronger decision making ability, such as with creating higher quality corrective actions. One of the primary ways software improved safety so much is that software utilizes an aviation safety database. This database stores information and allows a computer to perform complex operations on data rather a human mind. The computer’s ability to do this is, obviously, leaps and bounds ahead of a human. The financial benefits of safety software are a big deal. Not necessarily because is cuts down on costs (which it does), but because often times upper management funding the program fails to understand that SMS software save money. They just see it as another expense. Improved decision making ability allows for much less wasted time/money. Often times, gaining support from upper management means speaking their language: money. If you can demonstrate financial incentives, they are usually much more willing to hear what you have to say. Quality management is safety management’s twin sister. Their operations are tightly intertwined and they both depend on each other. In many organizations, things like safety training and auditing are handles outside the SMS program. SMS software can be a valuable ally to them as well. Better productivity for all operations, as manual work in regard to safety program is mostly eliminated. Safety management system software has natural quality management functionality built into it. Software is designed around business logic and workflows, and so naturally compliments quality management operations. Something that most organizations fail to grasp when they move from a manual SMS program to software based SMS program is how much easier their lives will be at work. The automated nature of the aviation safety database and software significantly reduces redundant, manual administrative work. More resources – and easier access to those resources – for employees. Amazing future potential of software. Use complex algorithms to perform predictive analysis with degrees of accuracy we never thought possible. The potential is very great, and using software now means getting started storing all safety data in a digital format. With manual programs, the ceiling if human ability. SMS software doesn’t seem to have a limit at this point in time.